If your design requires multiple ‘cut-outs’ or holes in a sheet of metal CNC punching is a cost-effective way of achieving this. We use a turret press to turn out multiple shapes at low cost and high speed with a high degree of accuracy and consistency. 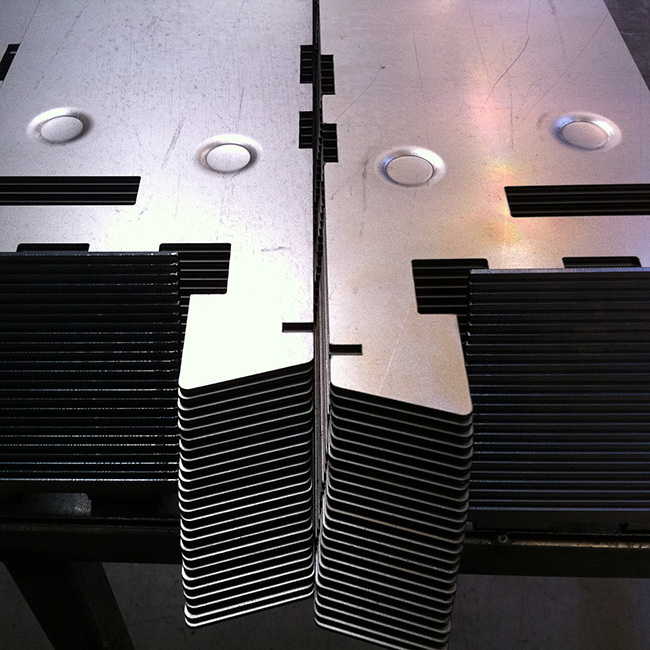 When you want to produce large quantities of relatively simple items it’s a more competitive option than laser cutting. The CNC punch press is based on the concept of a single station power press, but on a larger scale – we use a turret press with 16 tool stations. We generate a CNC program directly from your drawings. This controls the tool station and the movement of the metal sheet with great accuracy. 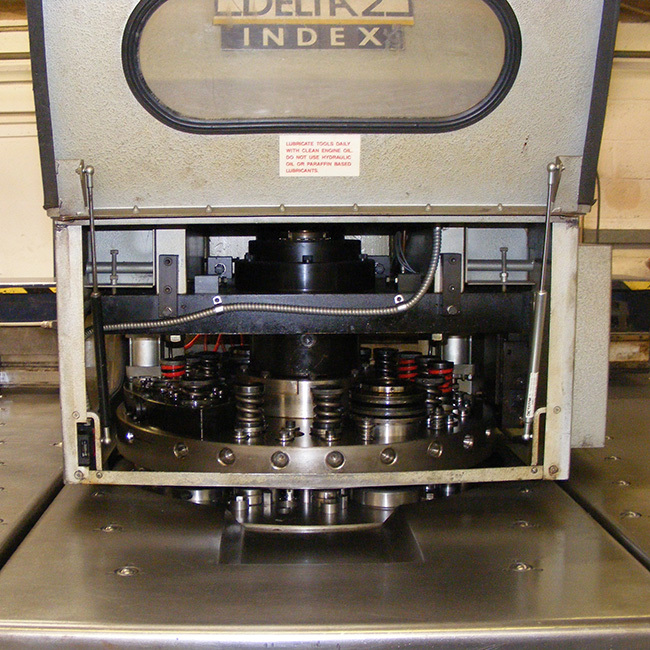 The press forces a hardened steel or tungsten carbide punch through the metal sheet into the corresponding die. The die supports the sheet from below and keeps shearing to a minimum so that a clean-edged hole is formed. As the sheet moves through a sequence of pre-programmed movements, shapes are cut out of the metal. These can vary from simple holes to complex curves according to the program. Multiple dies can be combined to produce more elaborate shapes.